When Patti left a comment on a blog post telling me how she created her travel journals in a scrapbook/photo format I asked her if she’d like to show and share with us the why, what, when, where and how she goes about it. The scrapbook images in this post are all from her Route 66 adventure in July 2008, when she and Abi drove from Chicago, IL to San Jose, CA. Each state they passed through was highlighted in the album with text, photos and assorted memorabilia. This is part of a series of interviews with travellers who share their individual and inspirational ways of recording travel memories. 1. 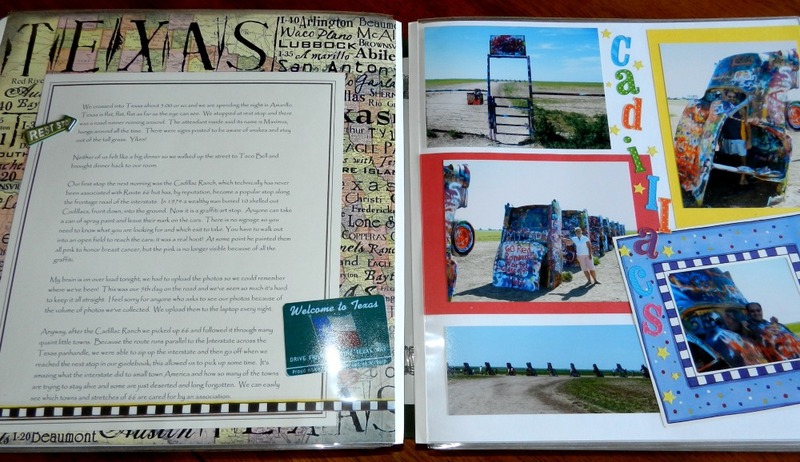 Why create a scrapbook travel journal? I love the craft of working with photos and text, and when I create an album it gives me the opportunity to relive the memories. Also, I create the albums for posterity. I believe it has become a lost art for families to keep records of important events; this is my way of leaving a small legacy for our son and his family. Along with creating travel albums my crowning achievement has been the creation of our family history album. Basically, I just think it is important to provide memories for those who follow us. 2. 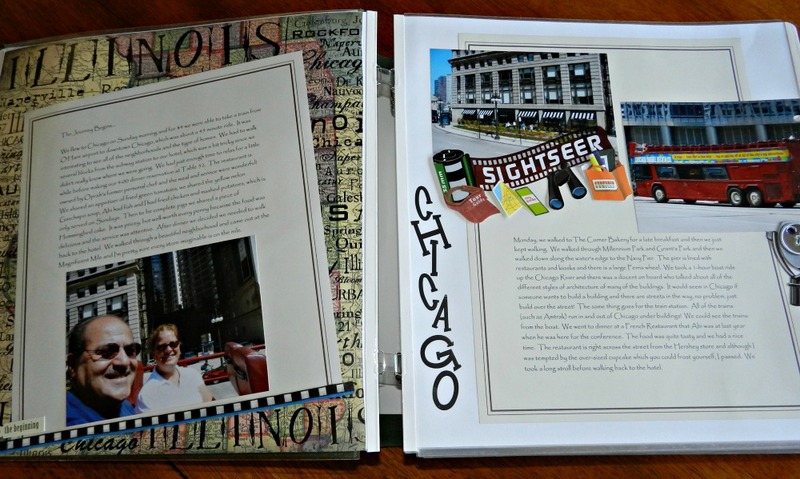 What do you include in your scrapbook travel journal? 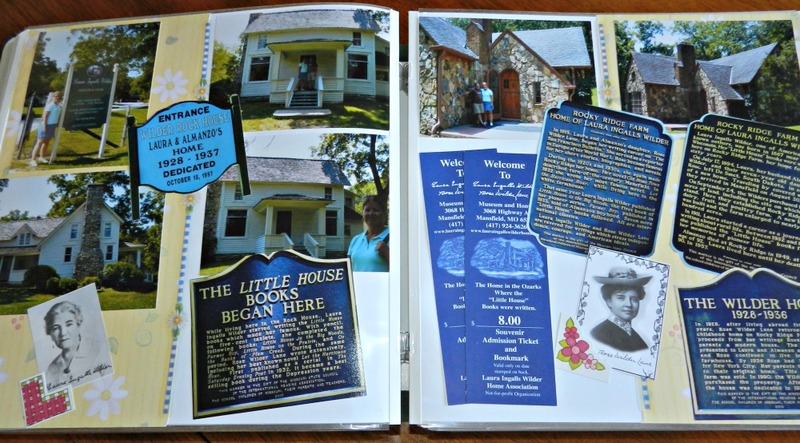 I include the text I’ve written from our travels, photos, memorabilia, (such as ticket stubs, play programs, postcards, sections of maps) and I use decorative stickers, labels, ribbons, etc. Sometimes I find things as we travel. For example, while traveling through Kansas I came across a package of background paper – 1 sheet for each state on Route 66 – I was ecstatic when I found it! Other items I buy once we’ve returned home. When I begin the process of laying out the pages, I make a list of specific things I’ll need and then head for the local craft store. 3. How and When do you create your scrapbook? I use my laptop to keep a daily written record – in a Microsoft Word document – as we travel and I try to capture special moments, bits of conversations and any highlights of the day. I draw from these notes to write the actual text when I create the album. Most of my albums are 12″ x 12″ (305mm x 305mm) in size. I create pages individually, laying them out side-by-side, so I have an overall visual as I design the pages. Once all of the pages are finished and covered in sleeves, I assemble the album. The actual process of creating the album is always done after we’ve returned home. 4. What is your favourite piece of scrapbooking equipment? My camera is my favorite piece of equipment because I can capture moments in time. 5. Why does this type of journalling work for you? This type of journal works well for me because I am “old-school” and a very visual hands-on person. I like the feel of the different textures I work with and I like the written word; telling a story through text and photos alike. I like being able to put one of my albums into the hands of another, it is a tangible piece of history. And aside from the fact that I absolutely love the process, it may take me a year before I even have time to start an album. I have to have the space to spread out and know that I’ve got a good chunk of time with which to work. And lastly, by creating the album I get the enjoyment of reliving the experience. Do you keep any form of travel journal? 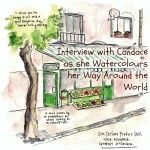 This entry was posted in Interviews with Travel Journallers and tagged scrapbook, scrapbooking, travel journal by Linda. Bookmark the permalink. Agreed! Time is a huge piece of the puzzle when creating this kind of book. Thanks for reading! This is beautiful and what a wonderful trip down memory lane Patti must have when she sits down glass of red wine in hand (perhaps!) to peruse her books and travel memories. Thanks Johanna! I don’t drink red wine, but a lovely glass of rose might do it. Although I tend not to have liquids in the work space because it would kill me if I spill! I think one of the reasons I started my blog was to create a digital scrapbook of our travels. I did put together a real scrapbook of a family trip we took when I was 14, driving from Philadelphia on the east coast of the United States to California and back. 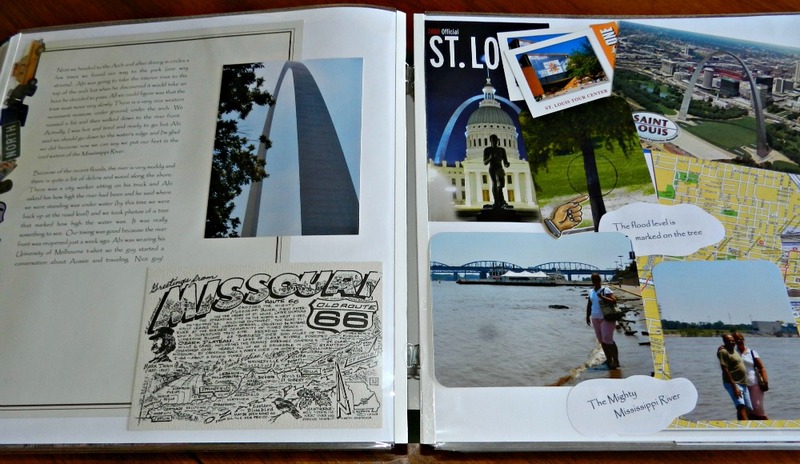 We took the trip over the summer and I put the scrapbook/photo album together as a Christmas present for my father. I found it when I helped my parents downsize 2 years ago and it now resides in my memory box along with reams of correspondence from back when we used to hand write letters. What a special memory Suzanne, exactly why I make the books. 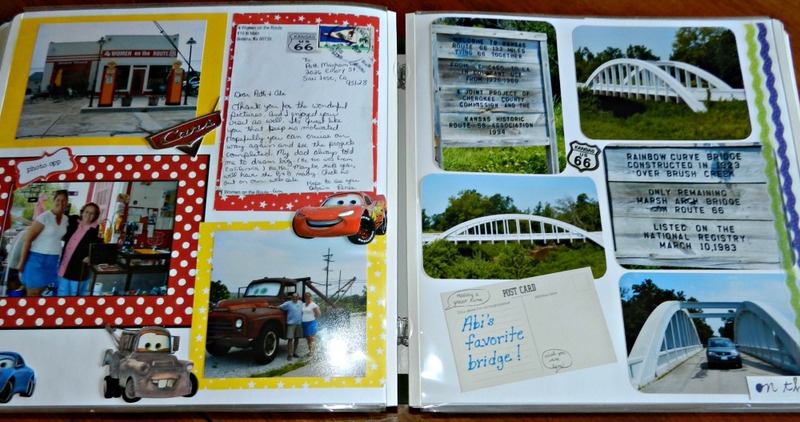 I like, and miss, the tangible part of making scrapbooks which I began creating in childhood. Now it’s all done on the computer, even journaling, and with photos has become my blog. 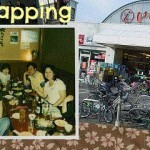 The scrapbook takes much pleasurable time and leaves a special legacy. It does indeed Gaelyn, and with the digital world it is sadly becoming a lost art. What a great way to preserve memories. I’d never do it- I don’t have the patience, but I envy that you do. These look fab! Lovely to be able to go through page by page with your children/grandchildren – not quite the same with a blog! Indeed, that’s part of what I love so much about the process. What a wonderful way to remember trips. These are beautiful. I sure wish that I had the time. My first blog at travelblog.org was a digital memory of our trips until it turned into a blog, which turned into a business. There really is something about having a hard copy of memories, don’t you think? I love them but like Andi it doesn’t seem to happen. I always take a diary and write in that plus take lots of photos but I rarely even get them printed these days. It’s quite sad because we love looking at the kid’s baby books but for our travels we resort to a slide show! You’re right – my kids love the photo albums I put together of when they were young – Which just goes to show how the time invested in the album creation is more than recompensed with the joy they give back! I think that this is a fantastic way to record your travels! My family and I have been on so many trips around Australia in our trusty caravan, but we have never thought to put anything like this together. The closest we’ve ever come is my eldest daughter recording a journal (as a school assignment) when we went across to Tassie one year – she kept a lot of ticket stubs and things for that, too. I’ll definitely have to show her (and my wife, she’s a crafty type too!) this post for some inspiration on future travels. There are so many different ways to record a trip and on this site we like to highlight as many different – and often simple – ways to highlight your holiday adventures for future enjoyment! For Australia based travels have you seen our Journal Maps for dotting your route on the pictorial map and jotting tales in the boxes around the outside? No, I hadn’t seen the Journal Maps yet – thank you for the link! Will be sure to pass it on, too. The Journal Maps and Mail-It Maps are perfect for all holidaymakers and travellers doing any kind of road trip in or around Australia for highlighting their holiday memories forever! 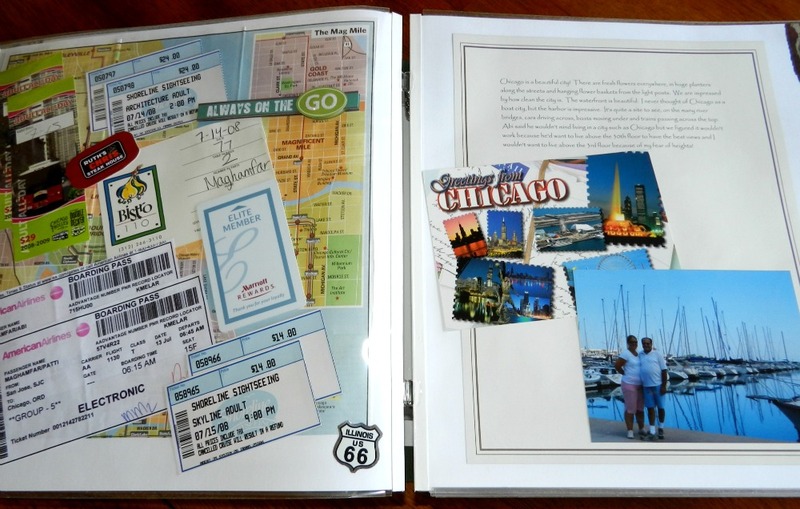 Scrapbooking is a lovely way to collect memories of a trip! We have a sister-in-law who has some wonderful books (with pressed flowers, and even sand!). 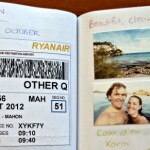 Sadly, we’re too busy to make scrapbooks – but we do write travel blog posts to remind us of our trips :-).